Alongside its long anticipate Moto G2, Moto X+1 and Moto 360, the company also revealed its latest Bluetooth headphone accessory called the Moto Hint. The Moto Hint, however, doesn’t look anything like the traditional in-ear Bluetooth headset we’ve got used to. It’s very small and subtle in-ear piece, which barely sticks out of your earlobe. Naturally, we were eager to see the compact earbud in action. The small Bluetooth bud lets you access Google Now and Moto Voice and when taken off shuts down automatically. In our short test, it did really well with a couple of web searches. We were also shown how it’s useful when using Google Maps for turn by turn navigation. 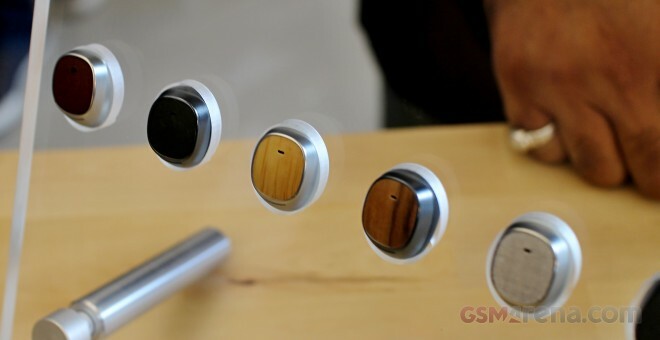 However, the Moto Hint’s strongest points is also one of its weakest, in our opinion. Its small size means that in a hectic day it’s very easy to lose it or misplace it. It’s easily charged in the cool looking charger, which you can attach to your key chain. As far as aesthetics go, the Moto Hint is beautiful and doesn’t look at all awkward, like its bulkier counterparts of old. There are also a bunch of different designs to suit everyone’s taste. In the end, the Moto Hint costs $149.99 and will go on sale later in the Fall. For some, that’s a bit overwhelming for a Bluetooth speaker, but we’re willing to bet a lot of people will prefer to open their wallets a bit wider for the convenience of the bud’s size. Motorola has hinted that a wider availability is coming in the time for the holidays.